Atalanta and Bologna closed this Thursday, April 4, the 30th round of the Italian Championship season 2018/2019. The game will be played at the Atleti Azzurri d’Italia stadium in Bergamo, starting at 16h (GMT). After that match there will be eight matches for the closing of the current Italian Serie A. The tournament gives the top four place runners in the next season of the Champions League. Who finishes in the fifth and sixth places will be entitled to place in the Europa League. The last three of the 20 participants will be relegated to Series B. 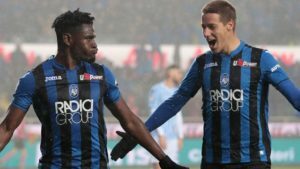 By beating Parma 3-1 at home on Sunday, March 31, Atalanta were able to return to the qualifying zone for Serie A international tournaments. It reached the plateau of 48 points (14 wins, six draws and nine defeats).However, he may have bigger ambitions than simply seeking a place in the Europa League in the 2018/2019 season. With Milan’s 1-1 draw with Udinese on Tuesday, April 2, in the match that opened the day of number 30, saw the possibility of reducing the gap in comparison with the team that closes on Wednesday placing, the classification block for Europa League. Four points separate them.In addition, there is still a trophy to pursue in this season finale. It’s in the semifinals of the Italian Cup. He drew 3-1 in the first leg with Fiorentina. The second meeting in Bergamo is scheduled for 25 April.The problem is that Atalanta’s homemade performance is not the best. When they took into account the results of the teams only in their domains, the team is only in the twelfth place in the A-Series ranking. Of the 42 points they played in their stadium, they won 22 (six wins, four draws and four losses). He scored 25 goals and suffered 16.For Thursday’s duel he will probably still be without Brazilian defender Rafael Tolói (21 matches in the 2018/2019 version of the Italian League, a goal), which is in the care of the medical department. 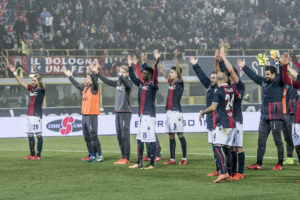 By beating Sassuolo 2-1 at home on Sunday, 2-1, Bologna set their best run of the 2018/2019 season. For the first time he has won three consecutive victories. Before, he had beaten Torino (3 to 2, away), and Cagliari (2 to 0, home).He managed to leave the relegation zone. He reached 27 points (six wins, nine draws and 14 losses) going up to seventeenth position, leaving behind Empoli, who parked in the 25 and would face Napoli on Wednesday, April 3, fulfilling his commitment for the thirtieth round.Visitor performance is slightly higher. In this respect, Bologna is the fifteenth of the Italian Championship. Of the 45 points he played in column two, he returned home with 11 (two wins, five draws and eight losses) having scored 15 goals and conceded 25.Paraguayan striker Federico Santander (26 games in 2018/2019, six goals), in the process of recovery from injury, should not play in Thursday’s match. 1. Statistical data to be taken into account before playing Atalanta vs Bologna betting tips! He is the 6th in the Serie A, with 48 points, 14 wins, 6 draws and 9 defeats. He has the second best attack of the championship, with 60 goals scored. It is unbeaten in the last 4 rounds of the championship, 3 wins and 1 draw. It comes after a 3-1 victory on the Parma side, a match in which he managed to get back from 1: 0 for the host team, Duvan Zapata slamming a double in that game. He was just above the relegation line, making the last round of exchange with Empoli. He comes after 3 consecutive wins in the 2: 0 Cagliari championship, 3: 2 with FC Torino and 2: 1 with Sassuolo. The last victory came with Sassuolo, 2: 1, in which Pulgar scored the third goal from the limelight in the last three games, the victory being brought by Destro in the 90 + 6 minute after what Sassuolo equaled 1 in 90 + 2 minutes. 2 wins, 5 draws and 8 defeats is the balance of the team away this season. 2. Latest information before Atalanta vs Bologna! Varnier and Toloi are injured by the host team, according to La Gazzetta dello Sport. Ilicic returns to the top 11, taking the place of Pasalic, titled in the previous match. Destro was injured while celebrating the goal of victory with Sassuolo, following the absence of 20 days, 15 days of rest has Mattiello to do. After the many good and intense games made in the rossoblu jersey, Palacio will be rested in this game, instead of following Santander. Atalanta (3-4-1-2): Gollini; Mancini, Palomino, Masiello; Hateboer, De Roon, Freuler, Gosens; Gomez; Ilic, Zapata. Bologna (4-2-3-1): Skorupski; Mbaye, Danilo, Lyanco, Dijks; Pulgar, Dzemaili; Orsolini, Soriano, Sansone; Santander. 3. Atalanta vs Bologna latest direct info! Atalanta managed to score in the last 5 direct meetings, with the last four wins coming up to the limit. In the tour, Bologna managed to take advantage of the break, after Mbaye’s success in the third minute, Mancini and Duvan Zapata bringing victory for the nerazzurri, in a game where the weather was an extra opponent for Pippo’s team then Inzaghi. Although Bologna are presenting significant results and their desperate attempt to escape from relegation, Atalanta is far superior technically and despite their below-average performance at home has the prognosis in their win as the best option for the game that ends on Thursday, the schedule of the thirtieth round of the Italian Championship version 2018/2019. I will bet on at least 1 goal scored by the opposing team in this game, Bologna proving under the command of Sinisa Mihajlovic that she is able to produce surprises regardless of the opponent’s name. Bologna scored every time in the last 4 games, with 8 goals scored in these games, winning 3 consecutive wins in the championship. On the other hand, Atalanta comes after 8 games in a row with a draw, with a serious problem when Duvan Zapata or Ilicic do not have a good day, this being in the two defeats with AC Milan and FC Torino.